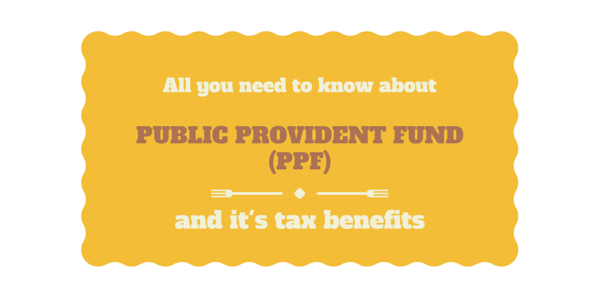 PPF stands for Public Provident Fund which is backed by Indian Government. PPF is the most common investment for a number of decades. Its features like guaranteed return, tax exemption under section 80C as well as tax free interest makes it the most popular investment among the risk averse investors. Any person whether employed or self employed can invest in the scheme. Another benefit in PPF is that the amount in PPF account cannot be attached under a court order for recovery of a loan or liability. Tax exemption under section 80C upto a limit of Rs. 1,50,000. Interest is tax free. It is not taxable at the time of accrual nor at the time of receipt. Premature withdrawal is also exempt from tax. Tax exemption under section 80C can be availed by parents in case of deposits by minor. Total amount deposited by parent along with minor cannot exceed Rs. 1,50,000 thus total deduction under section 80C cannot exceed Rs. 1,50,000 in any case. Interest rate is decreased to 8.10% for the year 2016-17. Interest is compounded annually and credited at the end of every financial year. If amount is deposited on or before 5th of the month then interest is credited for the whole month otherwise interest will not be given for the whole month. Interest is not calculated day wise but calculated monthly. Interest rate is decided by government and thus it is same for all banks and post office. Since PPF interest is exempt from income tax, no TDS is deducted on it whatever the amount is. Can be open in post offices or any authorised banks. Can be open by minors. Can’t be opened in joint names. Can’t be opened by HUF, NRI. However, if someone opens a PPF Account while he is a Resident of India but subsequently becomes a NRI, he shall be allowed to continue investing in his account. Nominee can be appointed by the account holder. After death of account holder, nominee cannot continue the account. The date of realization of cheque in Government account shall be date of opening of account. The grand father/mother cannot open a PPF account on behalf of their minor grand son/daughter. A person can open only one PPF account. Account can be transferred from one post office or bank to another post office or bank. After opening account minimum Rs. 500 is to be deposited each year. Penalty is Rs. 50 for default per financial year. Amount can be deposited not more than 12 times in a year and not more than 2 times in a month. The deposits shall be in multiple of Rs.100/- subject to minimum amount of Rs.500. Amount can by deposited by cash or cheque or via online payment. PPF account is opened for a period of 15 years. However on expiry account can be extended to a period of 5 years at a time. It can be extended any number of times for a period of 5 years each. There is a lock-in period of 15 years and the money can be withdrawn in whole after its maturity period. However, pre-mature withdrawals can be made from the end of the sixth financial year from the year in which account is opened. The maximum amount that can be withdrawn pre-maturely is equal to 50% of the amount that stood in the account at the end of 4th year preceding the year in which the amount is withdrawn or the end of the preceding year whichever is lower.After 15 years of maturity, full amount can be withdrawn. Premature withdrawal on account of medical expenses or higher education is now allowed after 5 years. See point no. 8 Closure of Account for more details. You can calculate the maximum amount that can be withdrawn from your account using our PPF Maximum Withdrawal Limit Calculator. Tilll now Premature closure is not allowed before 15 years except in case of death. Government has changed this law by notification dated 18th June 2016. Now the account holder can premature close his account after completing 5 financial years of opening of account. The condition is that the amount is required for treatment of serious aliments or life threatening diseases of the account holder, spouse or dependant children or parents or for higher education of the account holder. The account holder has to submit documents related from competent medical authority or fee bills from a recognised institute of higher education as the case may be. If a person prematurely closes the account then account is debited from one percent interest rates from opening of account to closing of account. In other words , the account holder gets one percent less interest rate for the whole period of account. Nominee/legal heir of PPF Account holder on death of the account holder can not continue the account, but account has to be closed. Basic period of the account is 15 years however account holders can choose to extend the tenure. Tenures can be extended in 5-year blocks with or without making further investments. Extension can be made only within one year from the date of maturity. 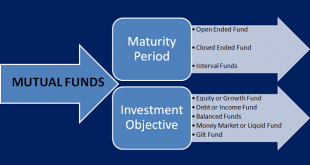 If no fresh investments are made after maturity, the account can continue earning interest on the amount accrued in the account until the end of year 15. Also, in this case, funds can be withdrawn freely once every financial year. If fresh investments are made after maturity – The interest will be calculated as per available balance in account. However, in this case, withdrawals will be restricted to a maximum of 60% of the amount held in the account at the start of each 5-year period of extension. This option helps in arranging loans for you at cheapest rates for short period of time. It is the easiest and cheapest method of taking loan. Personal loans from banks carry a high rate of interest normally 14% plus whereas loan against PPF currently carries only 10.6%. Time period in which loan can be taken – You cannot avail loan immediately after opening a PPF saving account. You are eligible to avail loan against PPF after completion of one year from the end of fiscal year in which ppf account was opened. Also the loan can be taken before the expiry of five years from the end of the fiscal year in which account was opened. For eg if PPF account is opened in Aug 2014 then loan can be taken from April 2016 to March 2020. Limit on loan amount – There is a limit of loan amount that can be availed against PPF balance which is 25% of the balance left in the account at the end of second year immediately preceding the year in which loan application was filed. For example, if loan is applied in Nov 2016, then 25% of the balance in PPF account at 31st March 2015 shall be the limit of availing loan. Limit of one loan at a time – You cannot take two loans against PPF account at one time. The previous loan must be repaid first to obtain second loan. Moreover you can avail loan against PPF only once in every 12 months, even if previous loan is settled. Interest Rate – The interest rate charged on loan is 2% more than the interest rate received on PPF account. It means you are required to pay only 2% interest on loan availed by you which is a very beneficial option as personal loan availed directly will charge very high rate of interest, generally between 14-21%. Repayment options – The principal amount has to be repaid within 36 months. Loan against PPF includes easy repayment options as loan can be repaid in lump sum or in two or more monthly installments. If interest amount is not paid, it can be deducted from your PPF account balance. In case there is default in repayment after the end of 36 months, an increased rate of interest will be charged i.e. 6% more than what you are receiving on your deposits. It is recommended that one should do his own research & gather full knowledge of the concept before taking decision regarding loan against PPF. I already have housing loan that exhausts my 80C exemption. Can I still invest in ppf (upto 1.5L) to get tax free interest or will my interest be taxed or am I not allowed to invest in ppf at all? I understand that I cannot have use this amount under 80C exemption. Ans. You can invest in PPF upto limit of Rs. 1,50,000 even if your total exemption amount exceeds 80C limits. My PPF Account is maturing on 10th March 2016, If I invest any amount in March this year, whether this investment will be eligible for Exemption under 80 C or I have to extend my account for being eligible? Yes, such investment will be eligible for deduction under section 80C whether you extend your account or not. Deposit in PPF A/c can made by income of relevant year or can we make it by our other investments or any previous savings? You can deposit the amount in PPF from any source, even from the loans you have taken or your savings. I contributed funds to my wife’s and my son’s PPF account, can i take benefit under section 80C in my ITR? No, in such case only your wife can take deduction under section 80C. If your son is minor then only you can take deduction in your account but total limit remains Rs. 1.5 lakhs. Whether tax deduction under section 80C and tax free interest also available for extended account after 15 years? Yes, tax deduction and tax free interest is available for whole life of the PPF account. Whether interest earned is treated as reinvestment like NSC and its deduction available? For eg PPF account balance in rs. 1 lacs, interest earned is rs. 8,000. Now a contribution is made of rs. 5,000. So total deduction will be rs. 8,000 or rs. 13,000. No, in PPF interest earned is exempt from tax and not considered as reinvestment. In the given case deduction will be of rs. 8,000 only. Can i open two PPF accounts in two different banks? No, A person can open only one PPF account at a time.